The New Democrats' defeat in last night's Alberta provincial election marked the end of a remarkable chapter*in the province's politics — Alberta's first-ever NDP government. 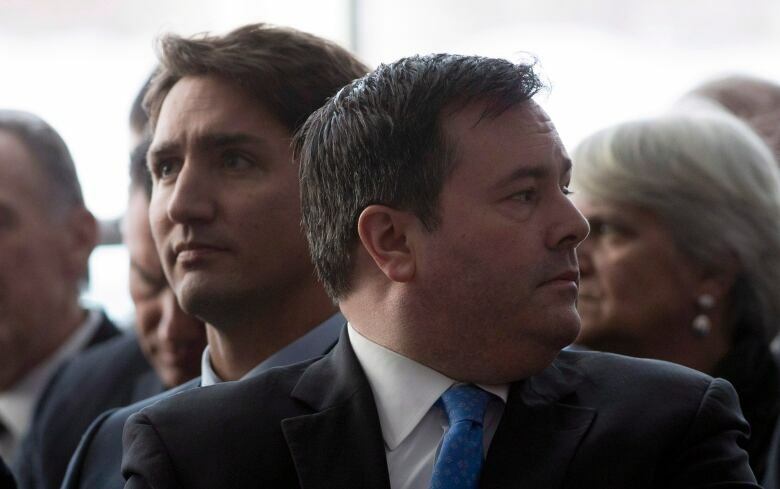 Premier-elect Jason Kenney left behind a decade-long stint in federal politics to help create the*United Conservative Party and bring it to power. Veteran*politics-watchers say*his high national profile, and strong ties to provincial and federal conservatives, will ensure he remains an influential player on the national political scene. Mount Royal University political science professor Duane Bratt*said Albertans saw*plentiful signs during the campaign of close family ties between the UCP and the federal party*— Kenney*sharing a campaign stage in a snowstorm with federal Conservative Leader Andrew Scheer, Kenney campaigning in Calgary with Laureen*Harper, wife of former prime minister Stephen Harper, and the former PM himself pitching his weight behind his former minister on social media. It all points to the considerable clout Kenney wields in the wider conservative family, Bratt said. *The intense national media interest in Alberta's election*(certainly more intense than it was in 2015)*foreshadows the "huge implications for the rest of the country" of the UCP's*win, he added. So what will the blue team's return to power in Edmonton mean to the exercise of power in Ottawa? Here are five ways last night's election could help shape federal politics. In an email to CBC News, Environment and Climate Change Canada said that if a province changes its carbon pricing system, the federal government's first response would be to review the changes before deciding whether to impose its own federal price. Marilyne Lavoie, spokesperson for Environment and Climate Change Canada, did not say how quickly the federal government would move to make changes. *"The government of Canada will move as quickly as possible in order to minimize a gap in coverage," she said. Actually, Alberta motorists would still enjoy a bit of a break on the carbon tax following the elimination of the provincial levy. If Alberta's carbon levy is cancelled outright, residents will end up paying the federal backstop levy*— $20 per tonne until 2020, $10 less than the current rate. In the UCP campaign platform, the party promises to*advocate for a cut in federal income taxes on Albertans equal to the amount the federal government transfers to Alberta through the Canada Health Transfer and the Canada Social Transfer. The province would raise its tax rates by the same amount; the party vows Albertans wouldn't pay more,*but the provincial government would have more control over how income tax revenue collected in Alberta is spent. Kenney has promised to pressure Ottawa for reforms to the Employment Insurance program to better assist Albertans who have lost work during the province's energy sector slump. Finally, there's the*UCP's most provocative fiscal promise:*a referendum on equalization payments — federal money redistributed to provinces to help even out the quality of government services nationwide*— to give the province a*bargaining chip when pressing Ottawa to approve more pipelines. 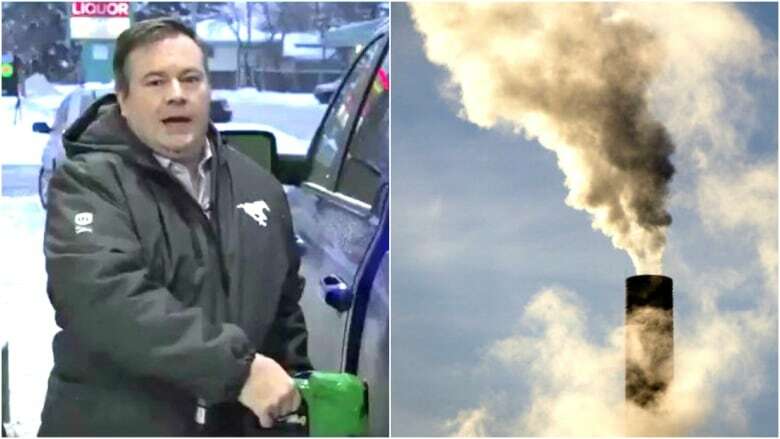 He also has said he'll instruct his new attorney general to launch a formal court challenge to*the federal carbon tax if it's imposed in Alberta. As part of the UCP's pushback against environmental groups putting pressure on Alberta's energy sector, its election platform said*it will challenge the charitable status of these organizations before the Canada Revenue Agency and appeal to the Federal Court to have their charitable status ended, if necessary. Kenney*also promised a $10-million litigation fund "to support pro-development First Nations in defending their right to be consulted on major energy projects." The policies are one thing, but the tone a new government sets can go a long way in determining how it gets along with its neighbours and other levels of government. With Kenney*in office, said McGill*University political scientist Daniel Béland, expect more confrontation and discord on the federal-provincial scene. "Jason Kenney has a much more controversial relationship to intergovernmental relations," said Béland, who heads the McGill Institute for the Study of Canada. "He's very forceful and adversarial to the Trudeau government." And while no one could describe Kenney as an ideological cousin to Quebec sovereigntists, Béland said,*he borrowed some tactics from Quebec's secessionist and nationalist movements. "It's a conflict-based approach to politics where you frame the issue as a strong conflict between your province and the federal government," he said. "You have to defend the people of your province against the central government, against other provinces and the rest of the country." It seems counterintuitive, but Béland*said he thinks Kenney's win —*and Alberta NDP Leader Rachel Notley's loss —*will actually help the federal NDP. Notley and federal NDP Leader Jagmeet Singh don't see eye to eye on the controversial issue of pipelines*—*particularly the expansion of the Trans Mountain pipeline, which Notley*staked her government on and Singh opposes. Notley's*defeat might eliminate that ideological rift within*the NDP movement, said*Béland. "For some NDPers outside Alberta, this might be a source of relief," he said. Bratt disagrees: He said he believes Notley isn't going anywhere and will still be a lingering pain in the side for the federal NDP. "There's huge frictions between the Alberta NDP and the federal NDP," Bratt said. "Having Notley gone isn't going to really happen to them." The CBC's David Thurton can be reached on*Facebook,*Twitter or email him at*david.thurton@cbc.ca.